… Click here. It seems the pope, apparently as head of the Vatican state – for those of you who were not aware, the pope, in addition to being the leader of the Roman Catholic Church, is the head of sovereign state, the Vatican (there is a government with ambassadors, etc. 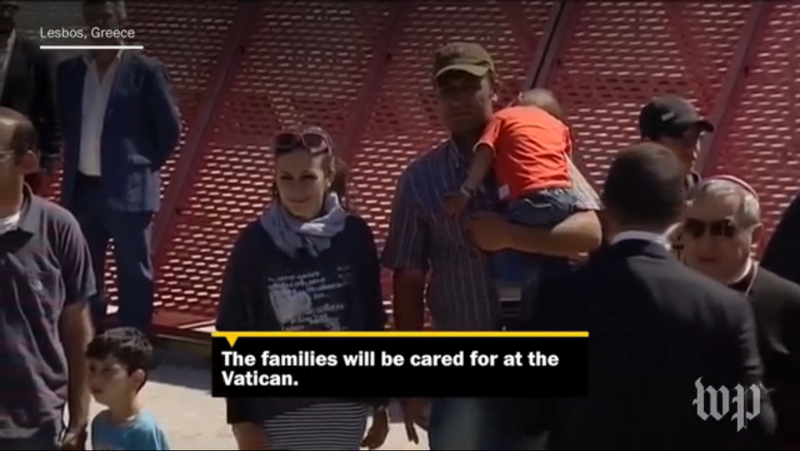 – has taken some Syrian families back to the Vatican to live and … well, be Vaticanites I guess. It’s a good thing I think. However, the trip to Lesbos was more PR and preaching than anything else. The US press has stated that he is trying to get Europe to take more refugees in. When in Cuba, in a meeting with some leaders of the same religious persuasion, their comment was that their beloved pontif was not addressing the exact needs of those people. Is he out of touch in this matter as well?